One of the several advantages of staying in a cosmopolitan city like Mumbai, especially for foodies like me, is the ever expanding and a never dearth of culinary delights available from around the world. One just needs to think up a cuisine and we have a restaurant already making a go at it. 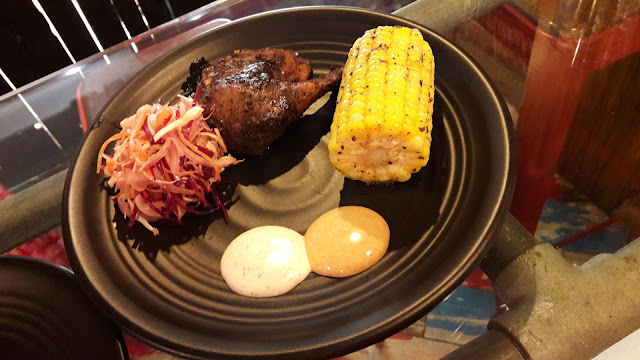 Having said that, when I was invited to TST - Pollo A La Brasa, I was pleasantly surprised to find out that they were in fact the first to open up a Peruvian restaurant in Mumbai. I was immediately curious and really anticipating my visit there. 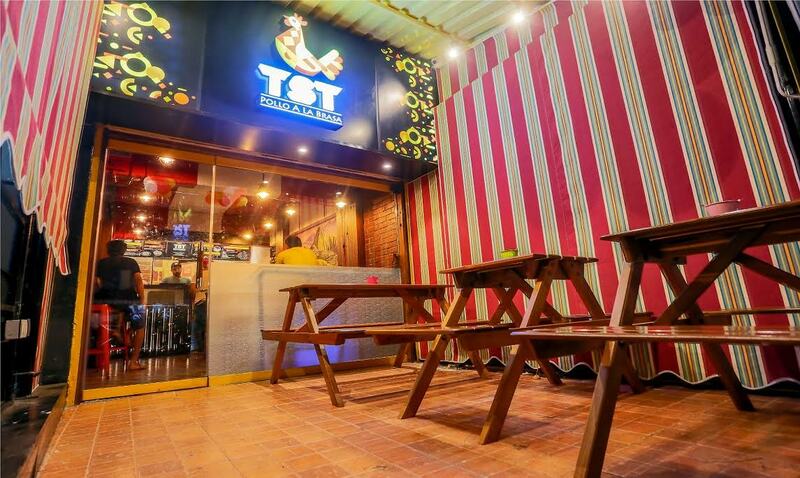 I had read that this brain child of the young budding entrepreneurs was not only one of a kind in Mumbai, but also the first ever Pollo A La Brasa (PERUVIAN GRILLED CHICKEN) in India! My knowledge of Peruvian food is limited, but instead of reading up prior to my visit about the cuisine, I decided to let the food do the talking for itself – however clichéd that may sound! 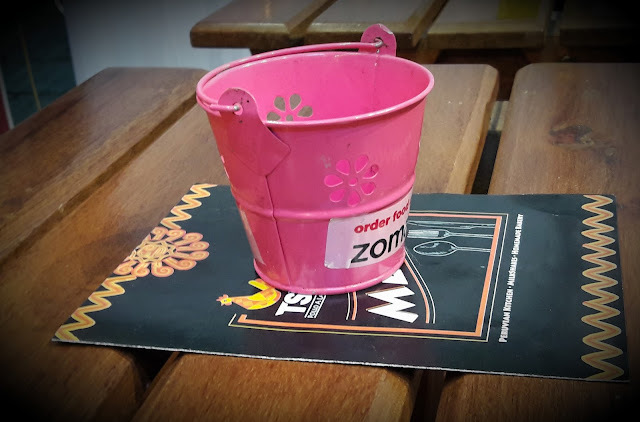 The restaurant is centrally located in Lokhandwala market and fairly easy to find. Though a small place amidst the chaos of the market area, it is really charming and thematic. 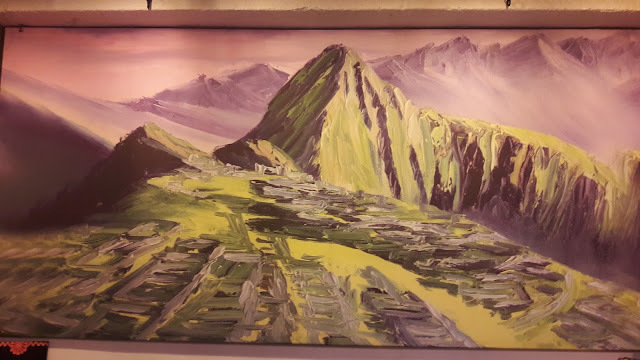 The decor is Peruvian to the “T”, with the painted Peruvian flag (minus the insignia) on the ceiling and the huge painting of the famous Machu Picchu taking up an entire wall. Two of the three co-owners were present when we reached, and I must mention, are two of the most charming restaurateurs I have met in recent times. They were polite, courteous, very knowledgeable and most importantly extremely passionate about what they were doing. They gave us a brief history on the Peruvian food, origins of TST - Pollo A La Brasa, and also recommended what we should be trying. Upon a brief glance at the menu, we decided to try their two specialties – Pollo A La Brasa and Arroz Chaufa (Peruvian rice). Not only was the service surprisingly prompt, the food was just remarkable. The grilled chicken was well spiced; juicy, tender and extremely well marinated (which is not easy with chicken, as generally the marinade tends to seep till only about 5-10% of the chicken). When we asked about this, the owner explained that the chicken goes through 3 stages of cooking and marinating which is almost a 12-16 hour long process! But in my opinion, totally worth it! The accompaniments of herbed corn and their homemade sauces/ dips were also very yummy! 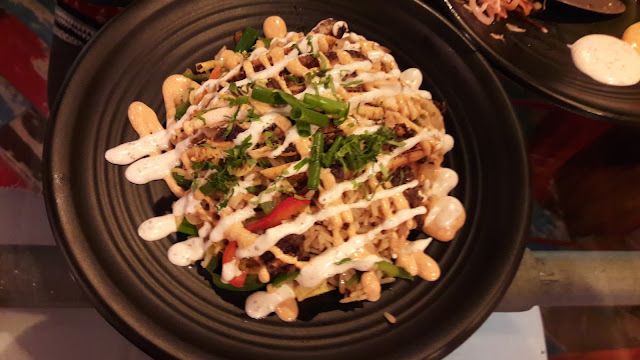 Next came the Chicken Arroz Chaufa – and we were again hit with lip-smacking goodness! The rice was spiced but absolutely non-oily or hot. It did not feel heavy after eating and we were left licking our fingers and wanting more – even though our stomachs protested! 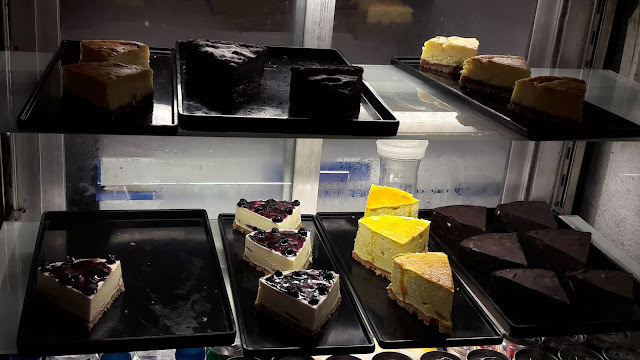 But we couldn’t leave before trying their delicious desserts as well – a baked cheesecake and a gooey chocolate cake. 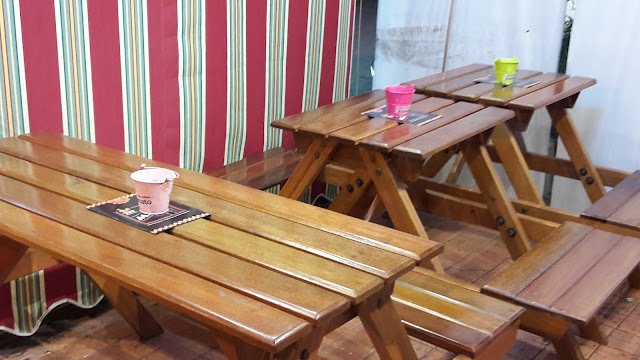 The co-owners also mentioned that the entire menu has been created by them and they make everything – right from the dips to the breads and the desserts – right there in the kitchen. They even have an authentic Peruvian chef on board and they have been honoured to be validated by the Peruvian Embassy in India for their authenticity. 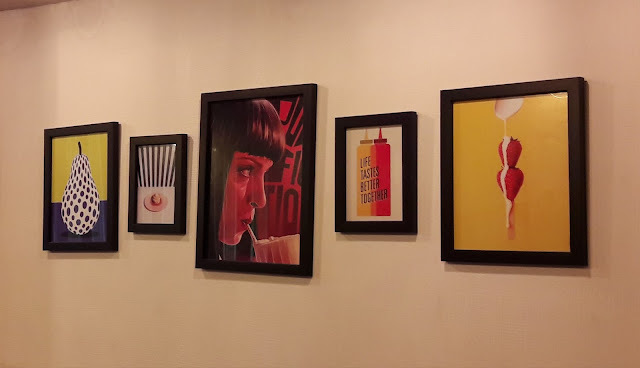 So to cut a long story short, I would highly recommend a visit to this absolutely delightful Peruvian nook and am supremely confident that you would come back satiated with a huge smile on your faces! The food looks absolutely delicious! I don't think I've tried Peruvian food before. It looks delicious! Definitely good here. 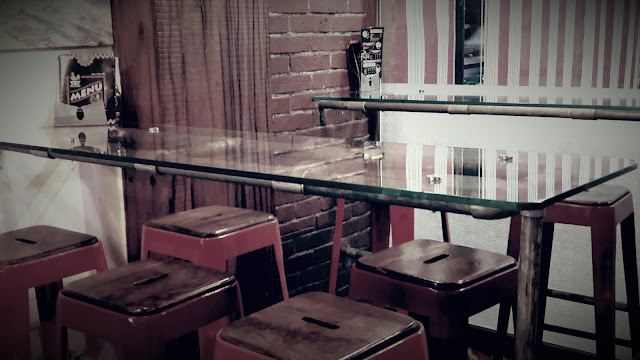 And I love the restaurant interior, cute and cool!